Anyone who has seen Ryan Daniel perform can tell you that he connects with the crowd. He makes every member of the audience feel like they are the most important person there. Ryan cites Garth Brooks as his major influence. 'When I perform, I want the crowd to feel what I’m feeling,' says Ryan. 'I like to reach out and make them part of the show.' I think Garth did it best! 2016 IMC (Indie Music Channel) Award for 'Country Artist of the Year' Ryan Daniel has now partnered with Stringer Performance and signed a Management deal with WBA Entertainment! 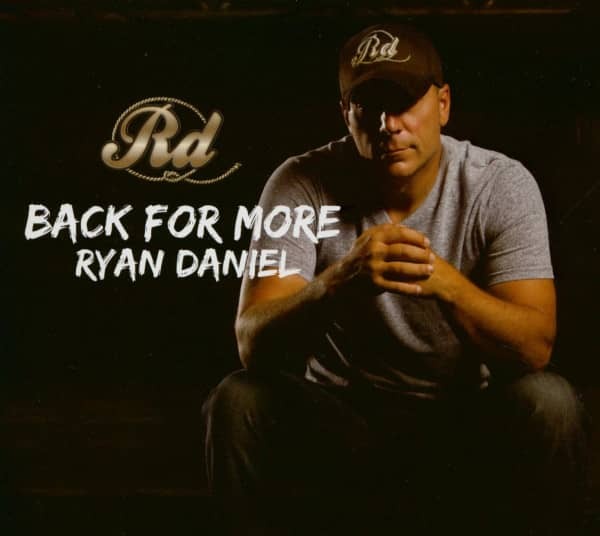 Some of his other many accolades include his Debut Album 'Love Life and Memories' won the 2014 Indie Music Channel (IMC) Award for 'Album of the Year' and Ryan also took home 'Country Song of the Year'. He was also a nominee for 'County Artist of the Year'. His debut single, 'A Silent Movie' received major airplay on numerous radio stations to include WKML in Fayetteville, NC, where it ranked #1 on the top 5 at 5:00 for 2 weeks. Singles, 'Honky Tonk Holiday' and 'Unknown Soldier' were certified No. 1 and 3 respectively on the International Association of Independent Recording Artists (IAIRA) music charts. He has teamed up with Wal-Mart and Coca-Cola to perform at Grand Openings of Super Wal-Marts from NC to TN. Ryan was also named a nominee for the Randy Travis Award at the Carolina Music Awards and won Best Country Music Artist of the Year at the Carolina Music Awards in 2012. He is a diligent artist who has booked over 430 shows independently. Of those, 100 have been at military installations or venues showing that his strong military roots are firmly in place. Kind at heart, Ryan is always willing to support worthy causes as demonstrated by his performances at Phi Delta Theta Fraternity in Orlando, Florida in support of ALS, back-to-back 'Warrior Jams', where money is raised to support troops who have PTSD (Post Traumatic Stress Disorder) and TBI (Traumatic Brain Injuries), and the 'Pink Heels Tour' in support of breast cancer. Fresh off his tour with Air Force Entertainment, where he spent the holidays performing for the troops overseas in an effort to maintain morale and remind them they are not forgotten. Ryan promoted his freshman release and raised morale from Texas to Turkey and Afghanistan to Iraq. Ryan always gives back. 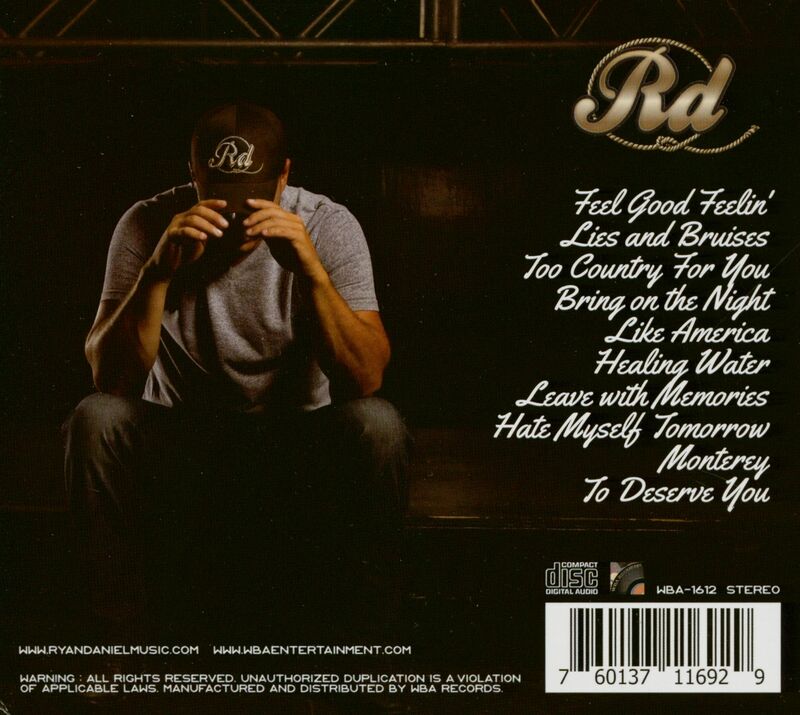 While on tour Ryan donated over 500 copies of the album for free release to the soldiers, sailors, airmen and marines still stationed in harms way. Ryan continues to work on raising funds for a tour to continue his support of soldiers with PTSD and TBI. Check out http://patriottour.org/ to show your support for this tour! Every donation counts! Ryan will be out on tour this year with Air Force Entertainment performing his hit show and his new #1 single 'Feel Good Feelin’' for our military men and women at stateside bases! 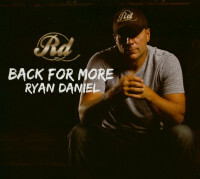 'Feel Good Feelin’' spent 5 weeks at #1 and is Ryan’s newest single of his sophomore album 'Back for More' which is set to release in early 2018.